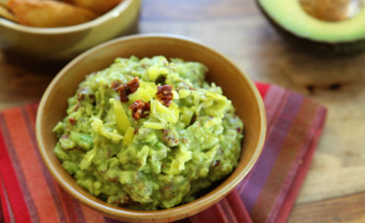 In a large mixing bowl, mash the avocado with a fork. Stir in the peperoncini, tomatoes, onion and lemon juice. Season with salt and pepper to taste. Great served with pita chips for a fun twist!